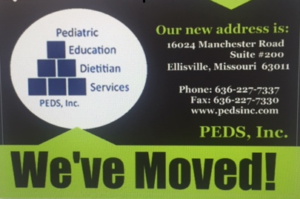 Pediatric Nutrition Services St. Louis Area-PEDS, Inc. Hoping the beginning to 2019 has been a good one for you. PEDS, Inc. is off to an exciting start! Click here for healthy, brain fueling lunch suggestions and ideas. If you missed the breakfast suggestions, search for Back to School Nutrition Basics located in the Educational Resource section. 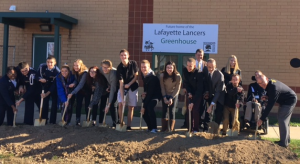 The Greenhouse Project was launched on Tuesday, November 10th, with the ground breaking ceremony at Lafayette High School. Many Rockwood administrators, Wildwood city officials, Rockwood Board of Education members, local businesses and Rockwood students were there to celebrate! 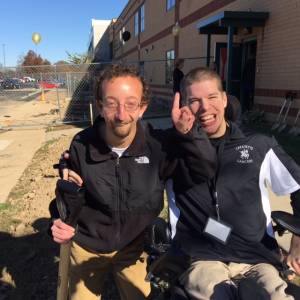 John Shaughnessy, principal of Lafayette High School, initiated and continues to spear-head this project with a true passion for his students. The greenhouse will be a facility utilized as an inclusive, hands-on learning environment for students. 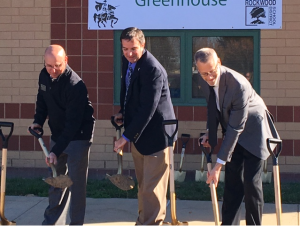 STEM classes will be conducting experiments and vocational training opportunities are just some of the projected opportunities for the greenhouse. The produce and herbs grown in the greenhouse will be used in the school’s cafeteria. I am so proud of my son, Joe, who has been on the ground floor of “dreaming and creating” this project. I will be volunteering my nutrition expertise and experience to the project as part of the Lafayette High School community . MORE information to come once the greenhouse is completed! Cardinal Glennon Children’s Hospital and Metro West’s first responders are working together to promote the Special Needs Tracking and Awareness Response System, or S.T.A.R.S, program. It’s a system that provides medical information of a special needs child to first responders prior to emergency situations. 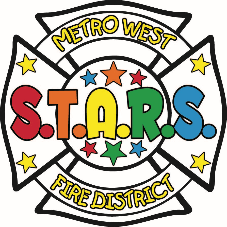 “The purpose of the STARS program is to create a tracking awareness system for our ambulance districts, fire districts and community hospitals to both recognize the special needs of patients inside their coverage area and have the training to appropriately care for these patients.” To learn more about this program, click on Metro West’ link (Metro West’s S.T.A.R.S. program) or Cardinal Glennon Children’s link (Cardinal Glennon S.T.A.R.S program). Barb Linneman’s niece’s daughter, Addi, is the beautiful face for this year’s United Way campaign! Please take a moment to view the video below. And support your local United Way! Committed to providing professional pediatric nutrition services since 1995, Pediatric Education Dietitian Services, Inc. offers comprehensive nutrition services for typically developing children and specializes in children with special health care needs. Our staff of registered and licensed dietitians provides medical nutrition therapy through assessments, education, and consultations. Our expert professional consultants will develop an individualized nutrition care plan and provide the educational guidance for implementing strategies to enhance the health of a child during each unique stage of development. 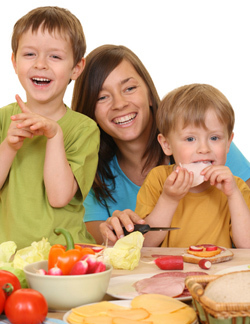 PEDS, Inc. facilitates the development and promotes the optimal nutrition health and wellness of each child. 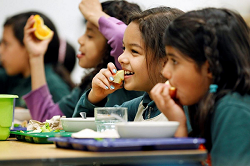 As a valuable resource for parents, guardians, school personnel and physicians, PEDS, Inc. will work to coordinate nutrition information to ensure the success of the child’s nutrition therapy. Accordingly, we offer education, resources and a caring qualified team of nutrition professionals to enhance and educate this support system. Our trained team of professionals at PEDS, Inc. has experience with feeding strategies, offering FEEDS, a therapy clinic, which evaluates, identifies and manages issues that interrupt a child’s ability to eat a healthy diet of a variety of foods and textures. PEDS, Inc. provides advance and innovative services. We strive for excellence by staying current with the latest research in pediatric nutrition for maximizing overall health and promoting the developmental potential of children for a lifetime.